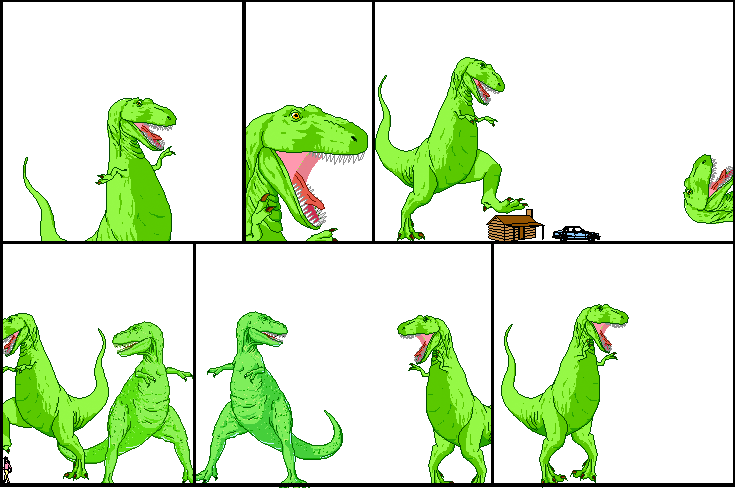 Dinosaur Comics - October 13th, 2014 - awesome fun times! October 13th, 2014: Remember the other day when an ONGOING MONTHLY SERIES starring SQUIRREL GIRL, written by me and drawn by Erica Henderson with colours by Rico Renzi got announced? YES. Well now I can talk about it some more, and here are interviews with me and Erica talking about it some more!